The tallit is a prayer shawl usually worn in the morning during Jewish services or prayers. It has grown in popularity with women and non-Jewish groups because of its rich history and beauty. Here you will learn how to make one for yourself adding your own personal touch to this unique garment or covering. Choose your fabric and size. Traditionally a tallit reaches from the top of your head to your knees. 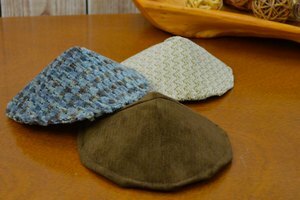 However, most people wear a tallit that reaches from the top of the head to just above the buttocks. A shawl style tallit will range in size from 8\"x47\" to 28\"x71\" according to your height. While the traditional tallit is made of 100% wool, many use a blend that is at least 51% cotton (makes caring for it easier) or even dupioni silk. Hem the edges and add a partial cotton lining. Make sure your hems are so small that they are hardly noticed. Many today who don't observe Judaism wear the tallit for short intervals. Even so, precautions to protect the fabric should still be taken. Whatever your reason for learning how to make your own tallit, it is a good idea to sew a partial cotton lining to the underside of it. This prevents the oils on your face from transferring onto the tallit and this lining can even be replaced after years of wear. Paint or sew your design. Today many are straying from the traditional sewing of stripes into the fabric and opting to add a more personal, less religious touch. Your design is limited only by your imagination. Add the fringe (Tzitzit). The fringe is probably the most important part of the tallit. When making your own tallit it will help if you understand the reason behind the method used. In the Torah the Israelites were told to sew tassels to the four edges of their garments to remind them of God's commandments. 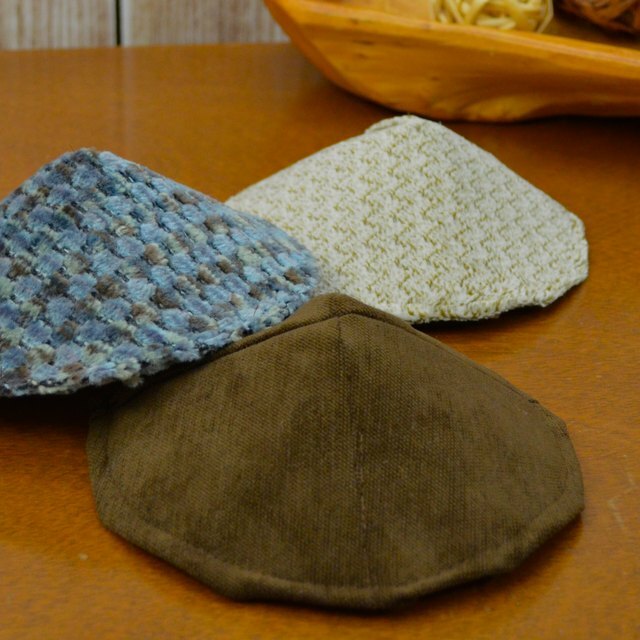 Since clothing no longer has four edges, these are sewn onto the four edges of the tallit.\nTo do this you will need to pass four strands of fine thread through a hole about an inch and a half from each corner of the cloth. This doubles the thread, making eight strands. 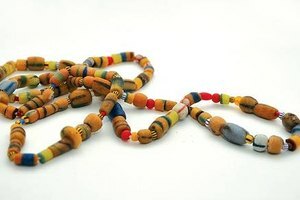 These should then be knotted five times each leaving roughly eight inches of fringe. 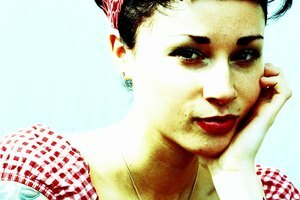 Miller, Renee. "How to Make Your Own Tallit." 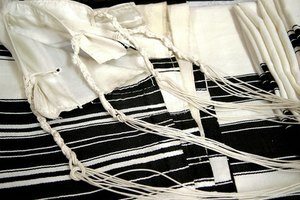 Synonym, https://classroom.synonym.com/how-to-make-your-own-tallit-12078217.html. 29 September 2017.